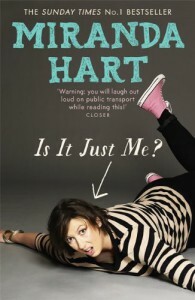 I really wanted to like this book more, I love Miranda Hart on TV. It started out so well, lots of punchy anecdotes. But that was it and nothing really developed. It was a total shame as you could hear the "voice" well but the direction was not really there. Good fun but definitely a "dip-in/dip-out" book which took a lot longer to finish than I expected. I also felt as someone not raised in England it was difficult to relate to some of the references which were left totally unexplained (on the other hand being a tall 39 year old woman a lot of the references were very very familiar). If you don't have a "hook" into this one I think it might be hard going. I would be careful to recommend it to those who are already fans.